Megathrust earthquakes occur at subduction zones at convergent boundaries, where one tectonic plate is subducted by another. These earthquakes are among the most powerful and destructive natural hazards on the planet. Over 250,000 people were killed by the 2004 Indian Ocean tsunami generated by the Sumatra-Andaman megathrust earthquake. These events are devastating, not only in their power, but in their wake, bringing sudden geomorphic change to coastlines through coseismic uplift and subsidence. These sudden shifts cause long-term changes along the coast, including growth and decay of coastal topography. Geomorphologists are attempting to piece together the connections between these sudden events and the long-term alterations in land surface. The Nicoya Peninsula on Costa Rica's Pacific coast in Central America presents an excellent opportunity to study this process. As one of the few landmasses along the Pacific Rim located directly above the seismogenic zone of a subduction megathrust, the peninsula is uniquely positioned. 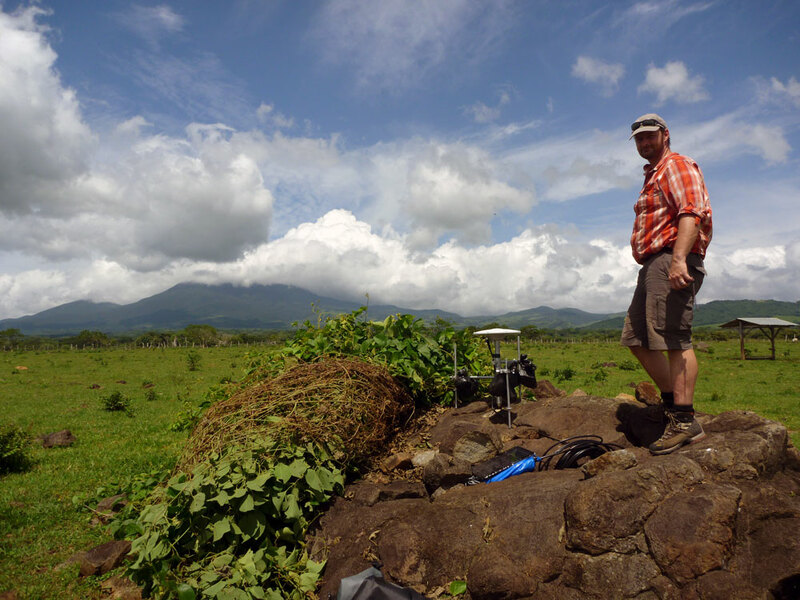 Researchers in the UNAVCO community are occupying existing GPS campaign network sites to gain an understanding of how the Nicoya Peninsula has moved after the September 5th magnitude 7.6 earthquake. 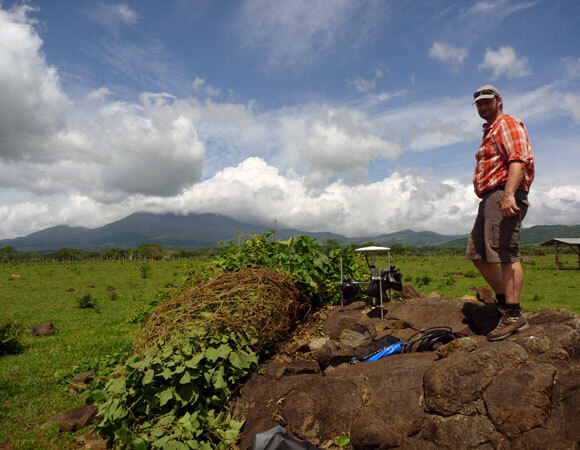 These campaign GPS systems will continue to record any additional aftershocks and movements that occur between the subducting Cocos and overriding Caribbean plates. Figure 1. PI Andrew Newman completing setup of a spike mount campaign GPS setup. Photo Keith Williams. Figure 2. UNAVCO engineer Keith Williams repairs a GPS site that was damaged due to an ant infestation. Photo Marino Protti. Figure 3. A typical UNAVCO spike mount campaign GPS setup. Photo Keith Williams. Figure 4. GPS enclosure which also records seismic and meteorological data. Photo Keith Williams. UNAVCO began siting optimal GPS locations in the area in 2006. 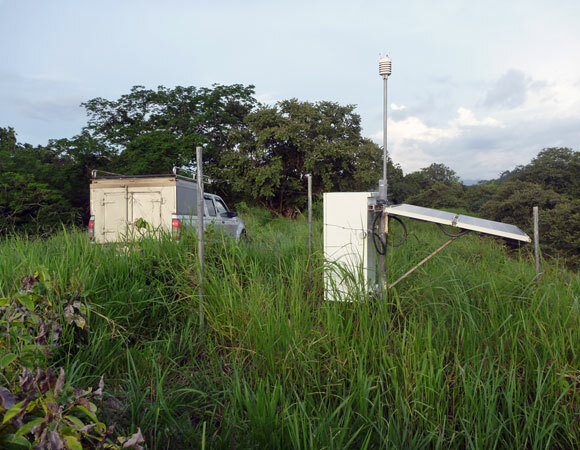 Since then, the Nicoya Peninsula continuous GPS network has grown to encompass 18 remote GPS sites distributed mostly in the forearc of the Cocos subduction zone in northwest Costa Rica. 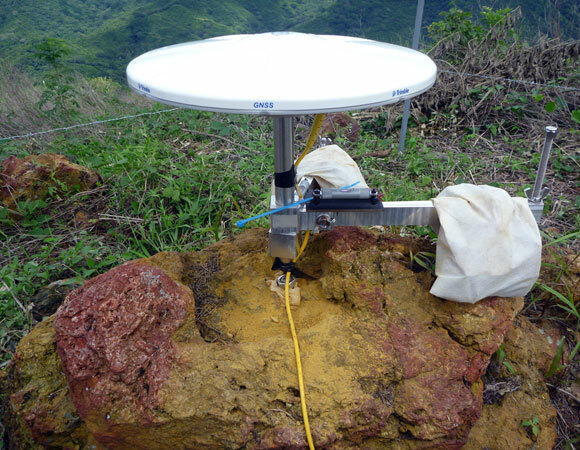 In January 2012, UNAVCO completed a telemetry upgrade on 12 sites to permit real-time data access. Two site upgrades were also completed for integration into the Regional COCONet GPS network, which is a large NSF funded project comprised of over 50 stations around the Caribbean plate. UNAVCO collaborated with network operators and seismic researchers from the Universidad Nacional and OVSICORI seismological research laboratories. UNAVCO continues to provide support for this important region. 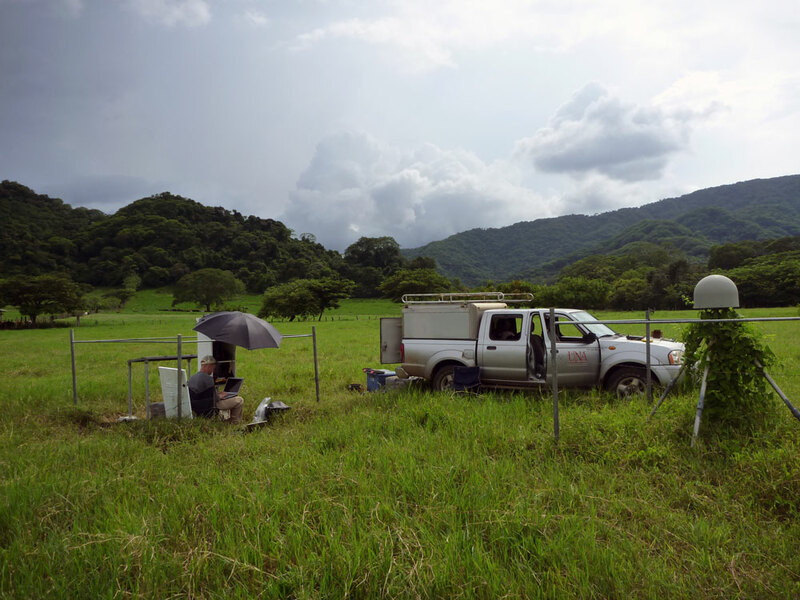 In September of 2012, UNAVCO field engineers worked with a team of scientists and graduate students for a period of two weeks shortly after the September 5th 7.6 Mw earthquake that occurred 11 kilometers east-southeast of Nicoya. 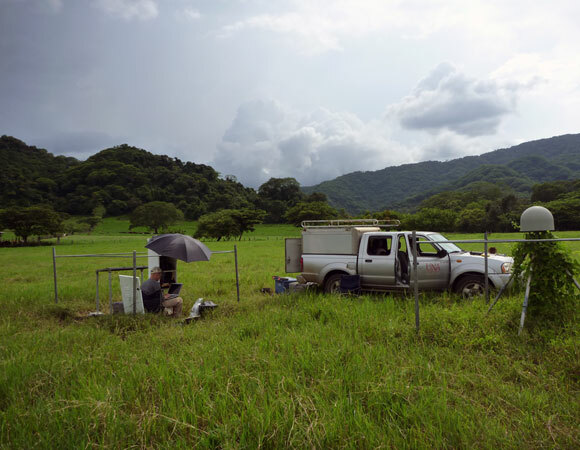 Field work was staged from a central post in the city of Nicoya. During this time, campaign GPS kits were moved from each existing network site to the next, capturing approximately 24 hours of observations on each site. Permanent GPS sites in the region were inspected and repaired as needed, and seismic data was retrieved from sites that had not been broadcasting this data back to researchers. 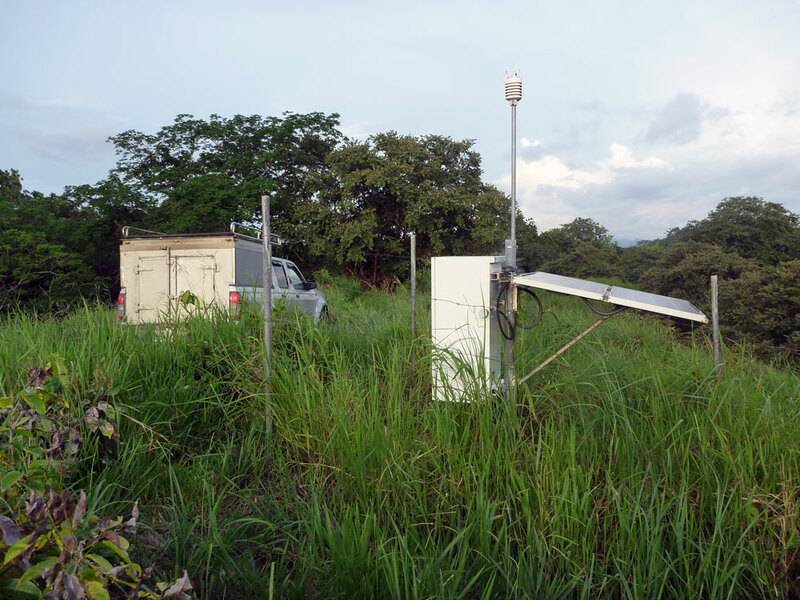 Initial estimates from Volcanological and Seismological Observatory of Costa Rica (OVSICORI) show that only about 40% of the strain was released with the September 5th earthquake. This, combined with the rare instance of land siting above the seismogenic zone of a subduction boundary, provides researchers with an ideal region for capturing plate movement in real-time with GPS. Continuous monitoring of the region with the campaign GPS kits will provide seismologists with data that will be invaluable for future earthquake research.